The Rise is growing bigger and stronger each week! To accommodate our growth, we’ve formed “teams” (Team Monday, Team Wednesday and Team Friday) to organize and lead each workout. Even though we are changing things up a bit, The Rise will continue to be free, fun and open to everyone! Describe The Rise in 5 words or less: We want you there! YeahBuddy! Describe The Rise in 5 words or less: Better than sleeping. Describe The Rise in 5 words or less: Everything is awesome! 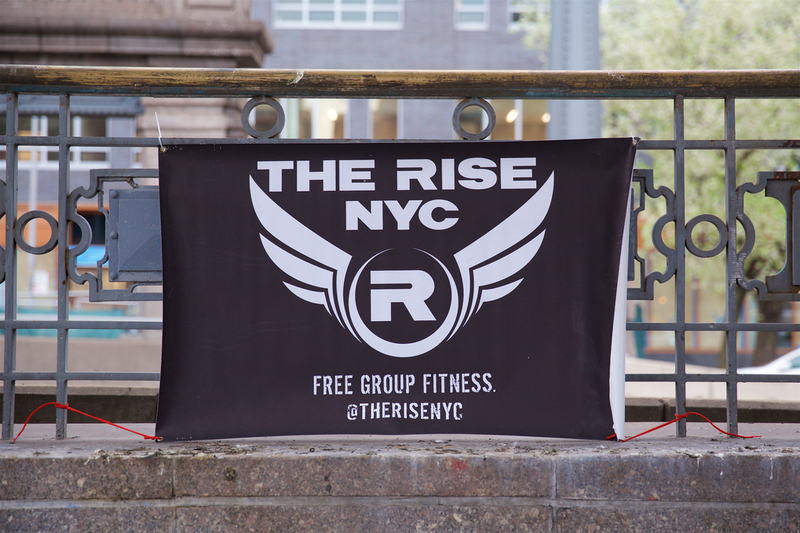 Make sure to check out The Rise every Monday, Wednesday and Friday and don’t forget to join us this Wednesday (and every Wednesday) at Bryant Park !